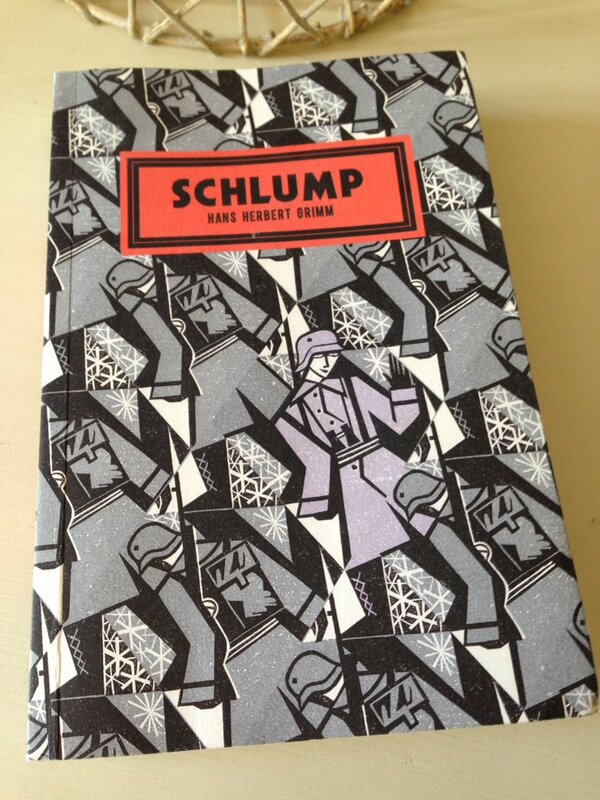 In 1928, German schoolmaster Hans Herbert Grimm anonymously published his first and only book, the semi-autobiographical anti-war novel, Schlump. Despite its obvious literary merits, Schlump was somewhat overshadowed at the time by the success of another WW1 novel, Erich Maria Remarque’s All Quiet on the Western Front (somewhat ironically, the two books were issued within weeks of each other). In the early 1930s, Schlump was burned by the Nazis. In an effort to keep his authorship of the book a secret, Grimm concealed the original manuscript of Schlump in the wall of his house in Germany where it remained until its discovery in 2013. 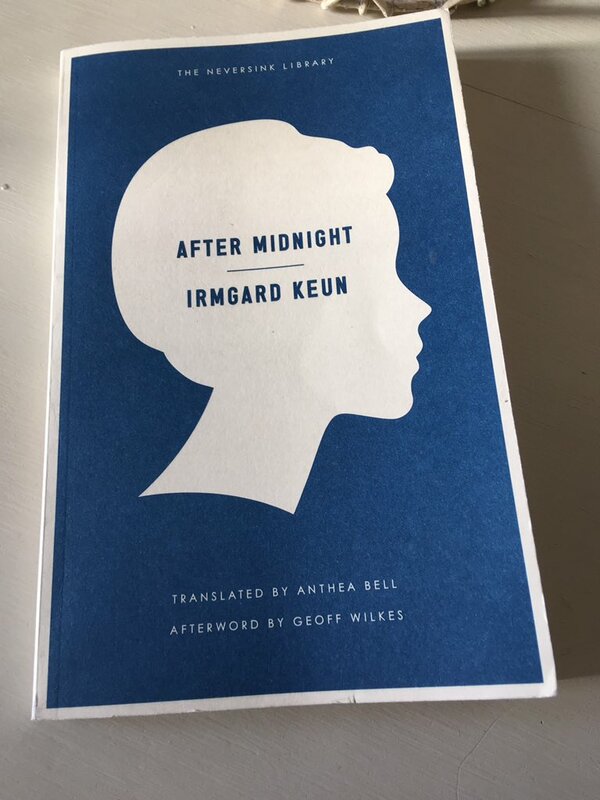 Now, thanks to the efforts of Vintage Books, NYRB Classics and the translator Jamie Bulloch, a whole new generation of readers can experience this rediscovered classic for themselves. Given the book’s history, it seemed a fitting choice for Caroline and Lizzy’s German Lit Month which is running throughout November. The novel itself focuses on the wartime experiences of Emil Schulz (known to all as ‘Schlump’), a bright and eager young man who volunteers for the German infantry on his seventeenth birthday. In August 1915, Schlump sets off for the barracks in readiness for the adventures ahead. Perhaps like many other young men at that time, he has a rather romanticised vision of life as a soldier, a view which is typified by the following passage. As luck would have it, Schlump’s first experience of war turns out to be a fairly gentle one. Armed with his school-leaver’s certificate and a grasp of the local language, Schlump is posted to Loffrande in France where he is put in charge of the administration of three villages, a task he soon gets to grips with, overseeing the work of the villagers and intervening in various matters in need of his attention. A good man at heart, Schlump gets on well with the locals, especially the rather high-spirited young girls who see to it that he is not short of female companionship. The relative calm of Schlump’s introduction to life as a soldier only serves to accentuate the horrors that follow. Like Remarque, Grimm doesn’t hold back on the true nature of life in the trenches; the physical and mental effects of war are conveyed here in a fair bit of detail. In this scene, Schlump’s regiment is under attack from the British (the Tommies). Grimm is particularly strong on the gruelling, precarious rhythm of life in the trenches: the constant exhaustion from operating on two hours sleep; the additional discomfort from rampant infestations of lice; the seemingly never-ending periods of standing guard; the perpetual feeling of exposure; the fetching and carrying of food, most of which gets spilled on the battlefield (that’s if it makes it at all – in some instances the carriers will die or suffer severe injuries en route). Schlump does not escape the war unharmed; there are a couple of occasions when he is hospitalised and sent back to Germany to recuperate, periods which also serve to highlight the debilitating effects of war on those left behind. During a brief visit home, Schlump finds his father a mere shadow of the man he once was, forced to work in a factory as no one is in need of the services of a tailor any more. In spite of everything the war has to throw at him, Schlump remains, for the most part, optimistic. Only once or twice does his spirit come close to fracturing, most notably when a pregnant girl is killed by a bomb while crossing the marketplace in her village, an act which provokes a sense of outrage and dismay at the cruelty of war. Moreover, Schlump is not blind to the hypocrisy of those in charge of the foot soldiers, the higher-ups who shield themselves from any personal danger or discomfort. The contrast in the following passage is plain to see. 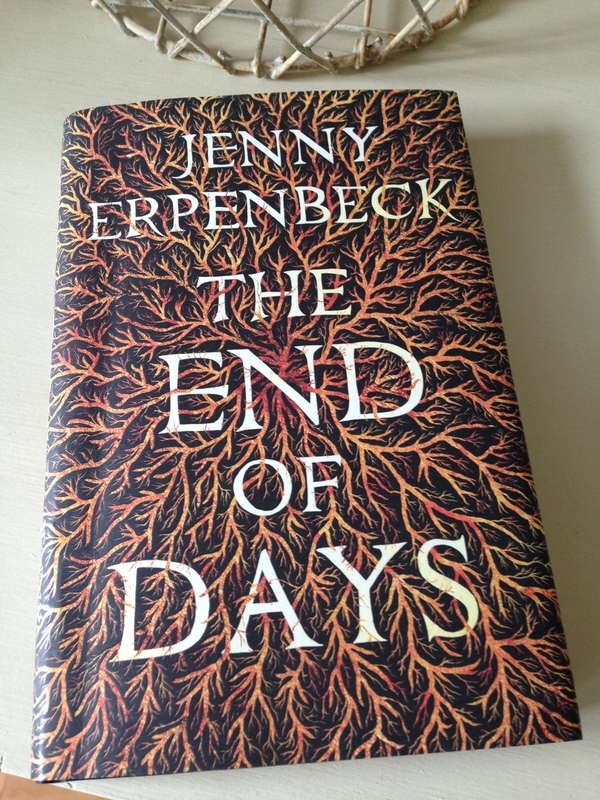 The somewhat episodic nature of this novel makes it difficult to capture in a review. 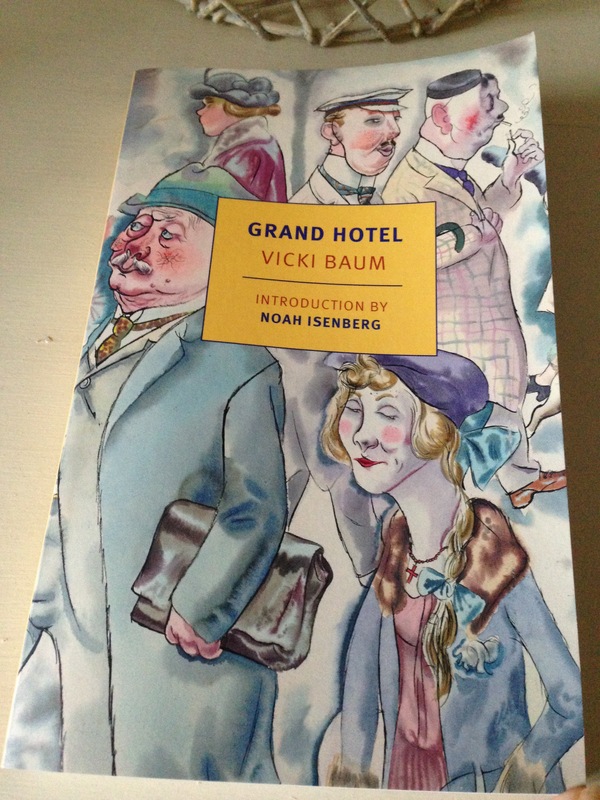 In many ways, it reads like a series of vignettes centering on Schlump’s experiences of the war from 1915-18. My Vintage Books edition of Schlump comes with an excellent afterword by the German writer Volker Weidermann – author of Summer Before the Dark, a book set before the start of WW2 – who describes Grimm’s novel as a docu-fable. It’s an apt description, particularly given the nature of the some of the episodes in the book. There is a fable-like quality to several of the tales and stories peppered throughout the narrative. Almost every character Schlump encounters has a story to tell, an anecdote or myth of some sort, a feature which adds to a feeling of the margins being blurred. In certain instances, it is not always easy to distinguish between what is meant to be ‘real’ and what is more likely to be a horrific nightmare or fantasy of some sort. I’m very glad to have discovered this book via Grant’s excellent review last year. Schlump is a very endearing character, forever the scallywag, the chancer and the dreamer, always looking to sneak away from his place of confinement in search of girls. In spite of the undeniable horrors of war, Grimm brings a great deal of humour to this story, especially the first part of the book when his protagonist is stationed in France. There is a sense of universality about this story, almost as though Schlump could have been any soldier in any regiment in the Great War. It’s one of the things that makes this novel so relevant to readers everywhere, irrespective of their nationality. This entry was posted in Book Reviews, Grimm Hans Herbert and tagged #GermanLitMonth, #TranslationThurs, Book Review, Erich Maria Remarque, Fiction, Germany, Hans Herbert Grimm, Jamie Bulloch, Literature in Translation, NYRB Classics, Vintage Books on November 2, 2016 by JacquiWine. A few years ago I was captivated by Alexander Lernet-Holenia’s novella I Was Jack Mortimer, a fast-moving, offbeat crime story set in 1930s Vienna. I read it pre-blog but it’s been widely reviewed elsewhere (especially since the release of a new edition in the Pushkin Vertigo livery towards the end of last year). 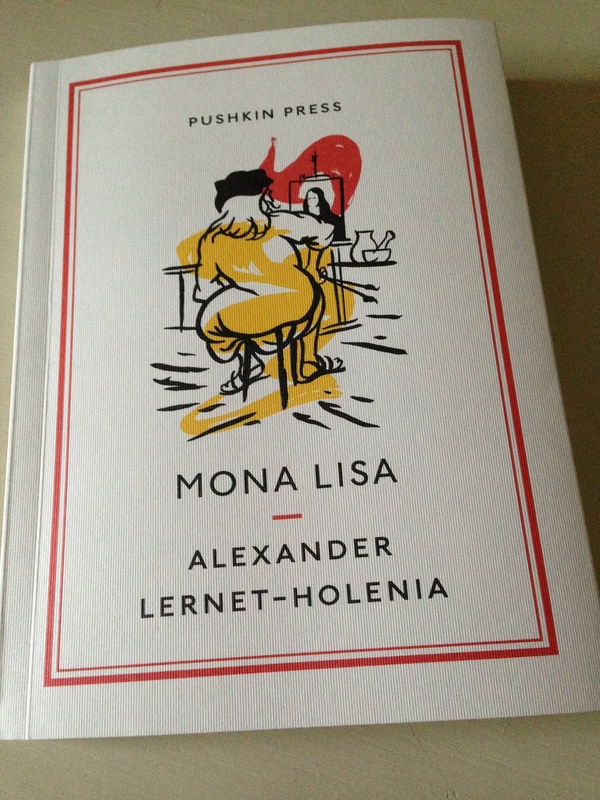 Back in November 2015 Pushkin Press published another of Lernet-Holenia’s works, Mona Lisa, which I was lucky enough to receive for Christmas. It’s hugely enjoyable story told with much wit and verve, a perfect gift for lovers of art and literature. Unlike an earlier Italian campaign – one that generated a significant haul of booty for the previous monarch – La Trémoille’s initial efforts give rise to very little in the way of money or valuable artefacts. As such he decides to spend a few days in Florence in the hope of procuring some suitable objects of art to placate the King. Despite finding art ‘a terrible bore’, La Trémoille hears of Leonardo Da Vinci’s reputation; and so, accompanied by a small posse of French and Italian noblemen, he decides to pay the great painter a visit. It is at this point that the focus of Lernet-Holenia’s story shifts from La Trémoille to one of his companions, a young nobleman by the name of M. de Bougainville. During a highly amusing and somewhat farcical exchange between La Trémoille and Leonardo, Bougainville is charged with catching a fly in order to settle a difference of opinion. In so doing, Bougainville catches a glimpse of an unfinished painting, a portrait of a woman with a rare luminescence. It is, of course, the Mona Lisa, and Bougainville is instantly smitten. In spite of everything he has heard, Bougainville remains convinced that his Giaconda is still alive, a belief that only strengthens when he sees the painting once again; after all, as he says to Leonardo, that smile appears to be immortal. Here is a snippet from the painter’s response. Coming in at around eighty pages, Mona Lisa is a brief yet very satisfying story. As such, I’m a little wary of revealing too much about the plot. Let’s just say that Bougainville goes on a mission to discover whether his Giaconda is actually dead or still alive, a sequence of events that results in all manner of mayhem for our protagonist and his companions. This is a very entertaining tale of the captivating power of art, of how we project our own emotions and feelings onto the images we see before us. It’s a charming tale about love, life, and the search for beauty. There are other pleasures to enjoy too, not least in the author’s descriptions of the Florentine milieu. In this scene, Bougainville is visiting the Basilica di Santa Croce in search of Giaconda’s tomb. As well as being a very prolific novelist, Lernet-Holenia was also a screenwriter, and it shows in Mona Lisa; with its witty storyline and lively dialogue, this story would transfer very well to the stage or screen. Before I finish, just a few words on the physical book itself. 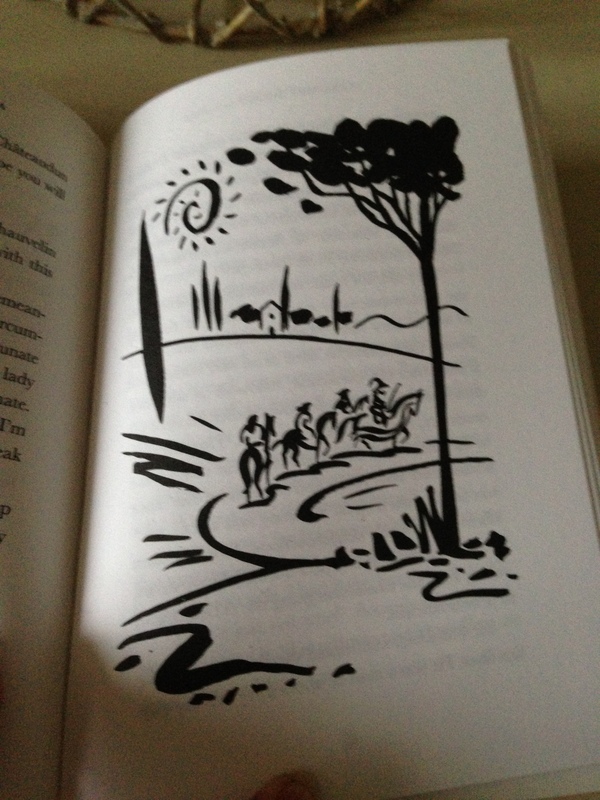 This lovely Pushkin Press edition is beautifully illustrated by the graphic designer Neil Gower, whose wonderful little sketches are dotted throughout the story. 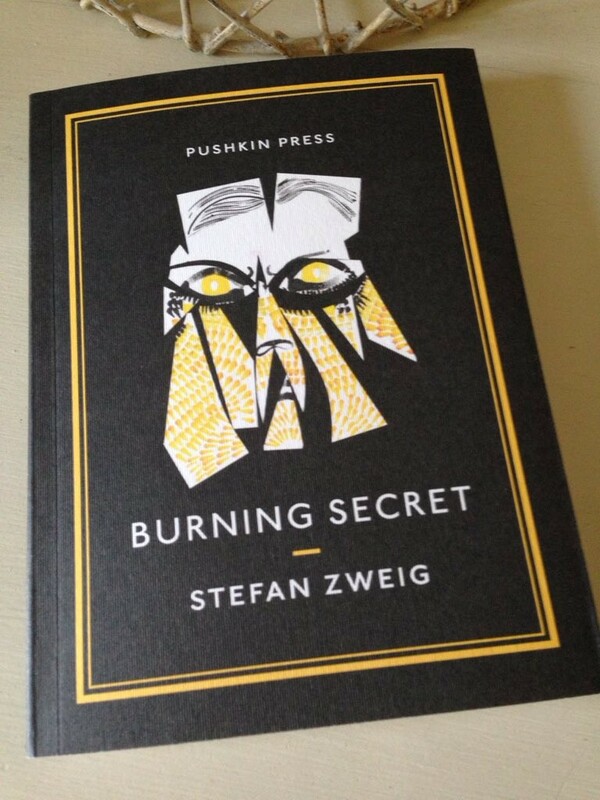 As per usual with books in the Pushkin Collection, it is a gorgeous little thing – definitely something to treasure. Grant (of 1streading) has also reviewed this novella. 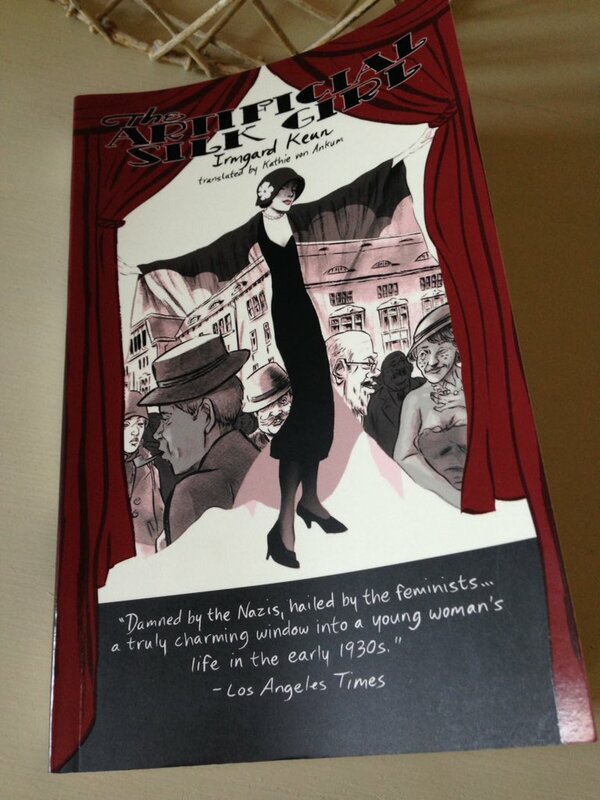 Mona Lisa is published by Pushkin Press – first published in German in 1937. Source: Personal copy. This entry was posted in Book Reviews, Lernet-Holenia Alexander and tagged #GermanLitMonth, #TranslationThurs, Alexander Lernet-Holenia, Book Review, Fiction, Germany, Ignat Avsey, Novella, Pushkin Press on January 3, 2016 by JacquiWine.